Drip irrigation is today's need because Water-nature's gift to mankind is not unlimited and free forever. World water resources are fast diminishing. The one and only answer to this problem is the drip irrigation systems. 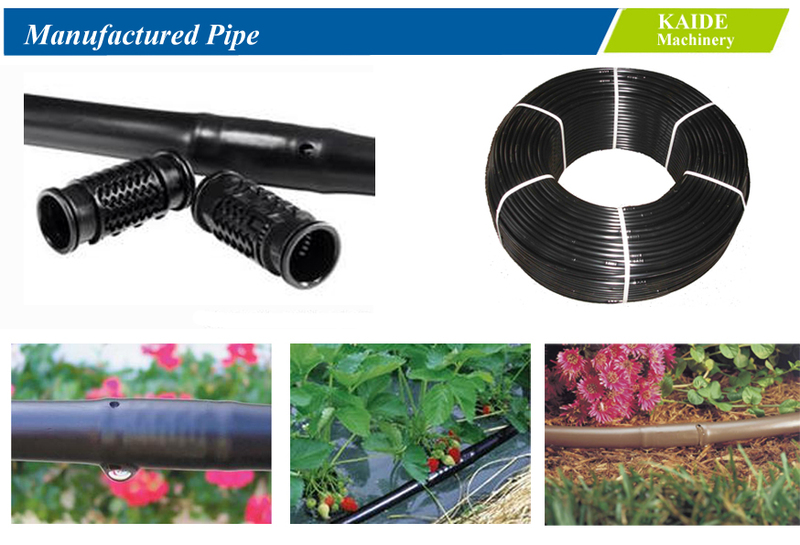 The drip irrigation pipe is widely used in water saving irrigation field, such as vegetables, flowers and trees. This line can produce this kind of inline round drip irrigation pipe continuously with high speed, steady thickness distribution, high dripper inerting frequency and high precise hole punching. 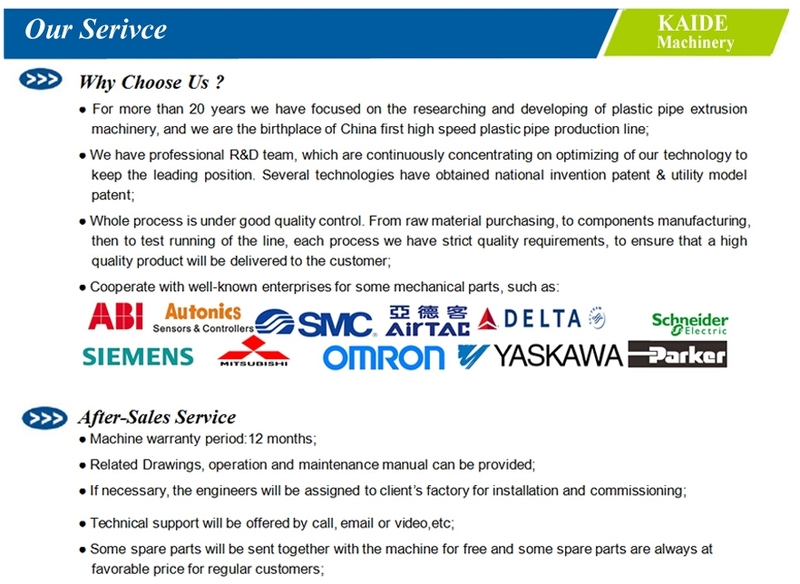 ●The die head mould is specially designed; the precise inlaying unit, haul-off unit, auto punching unit are provided with the necessary elements for high speed plastic pipe production. ●This line adopted centrifugal screening device for drippers screening & sequence, this device has the advantages, such as, high precision screening, rapid sequence and high dripper identifying speed, which ensure the precise dripper supply during high speed production. 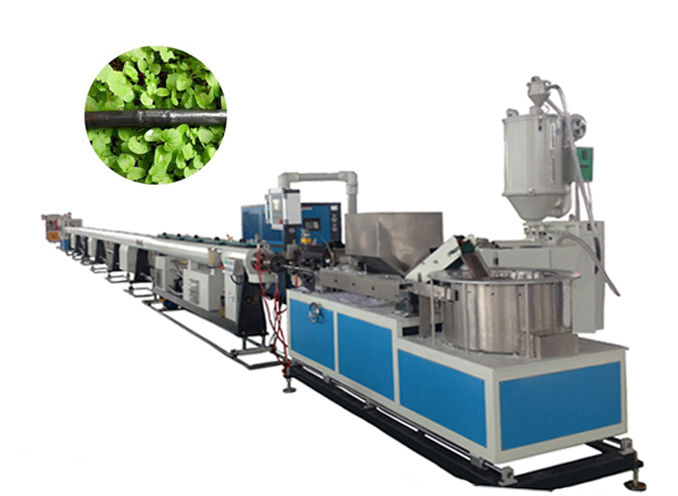 ●The dripper is inlaid by high speed push-rod inlaying, and dripper spacing can be adjusted automatically according to production requirements, which ensures the dripper spacing accuracy in different line speed. ●Adopted mechanical punching mode, automatically tracking the pipe production speed, guaranteed the accuracy of punching position. ●The synchronous control is realized from dripper feeding, screening & sequence, conveying & inlaid, haul-off, to punching and coiling, which ensures the precise control and stable running of high speed production. 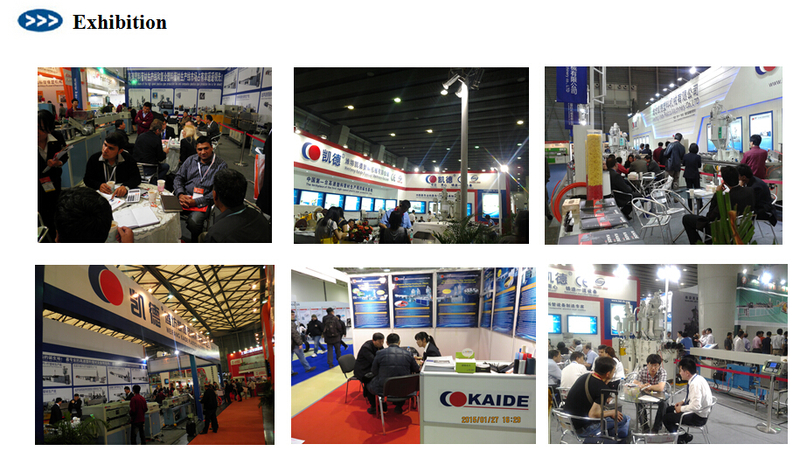 Weifang Kaide Plastics Machinery Co.,Ltd has focused on plastic pipe extrusion technology for more than 20years, especially for high speed pipe production line and multi-layer composite pipe production line. 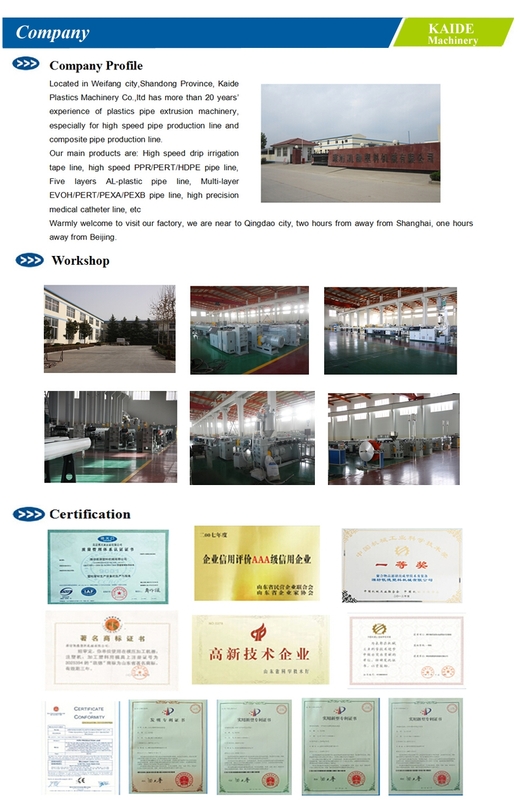 Because of high machine quality and advanced technology, our lines have exported Russia, Ukraine, Algeria, Egypt, Iran, Korea and many other countries and places; and enjoyed great reputation from our customers.